JioPhone comes in WhatsApp, not enjoying these features. The version designed specifically for Whatsapp has been released for JioPhone. Users can download such downloads. After waiting for a long time, Whatsapp has been officially released for JioPhone. 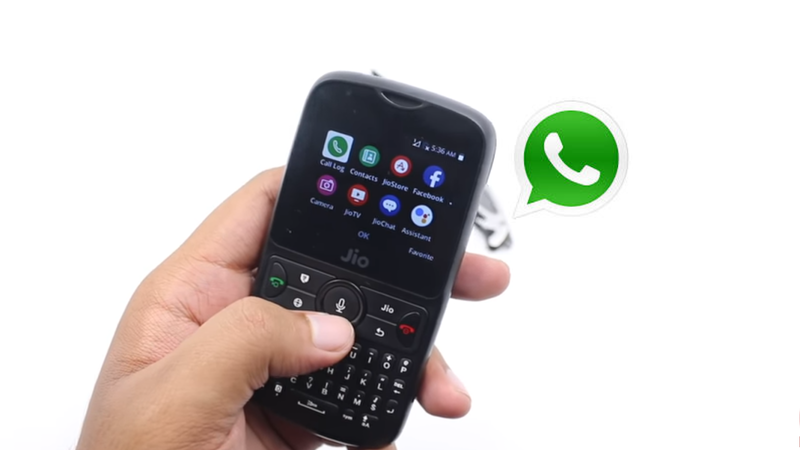 Initially it was to be released for the Kaios-based JioPhone by August 15, although it has now been released through Jiostore. On Monday late evening, the app was confirmed on behalf of WhatsAppAppe. It was also informed that till 20th September the app will be delivered to all Jiophone users. Users can download the specially designed version of Whatsapp on their JioPhone and JioPhone 2 via JioStore. Let us know for your information Reliance Industries Limited (RIL) informed about the release of WhatsApp with the YouTube version during the 41st Annual General Meeting in July. Just like your version of Android and iPhone, there is a claim for end-to-end encryption in the Whatsapp app designed for Jiophone. Through this app, users will also be able to record and send voice messages. Users will also be able to participate in group chat However, there will be no feature for direct video and voice calling facility. In addition, the beta form in Whatsapp will not allow customers to enjoy the recent payment feature for Android and iPhone. To download the Whatsapp app in your Jiophone, go to JioSearch from the menu and search for Whatsapp in the list here. After this, select the option of Install to start the installation. Keep in mind that the latest software in your Jiophone is required to operate the Whatsapp app. Apart from this, you also need to verify your phone number in order to run WhatsApp. Those users who have not received the necessary updates to install the Whatsapp app, wait for some time. Updates will be delivered to everyone soon.